It’s back to Italy today for the next track & field facility from Europe. This one is found at Stadio Adriatico – Giovanni Cornacchia, in Pescara. 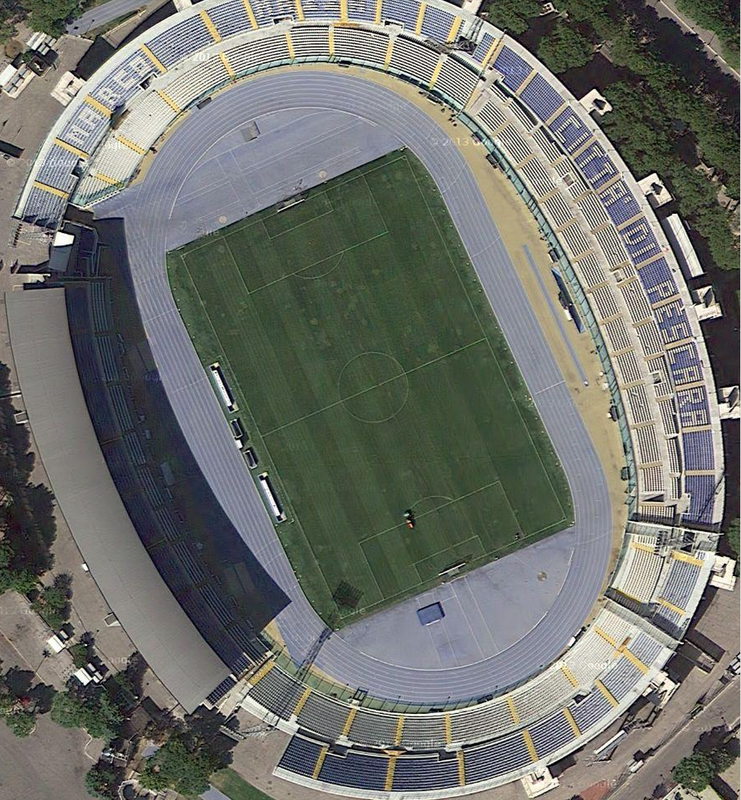 This stadium first opened in 1955, and was used for the 1960 Summer Olympics, as one of the venues for soccer. 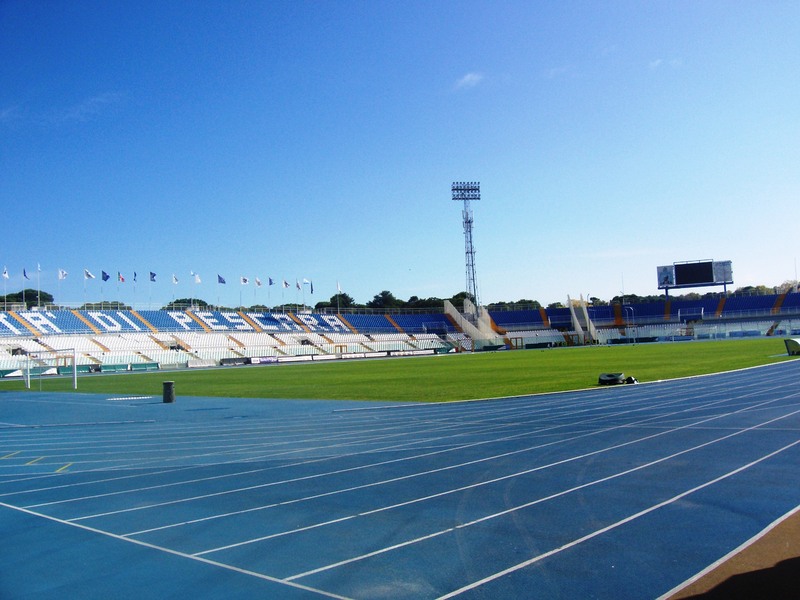 It recently underwent a renovation that was completed in 2009, for the Mediterranean Games that same year. This is a blue track, with yellow accents around the outside, that matches the blue and yellow seats and aisles of the stadium. I like how this one looks.